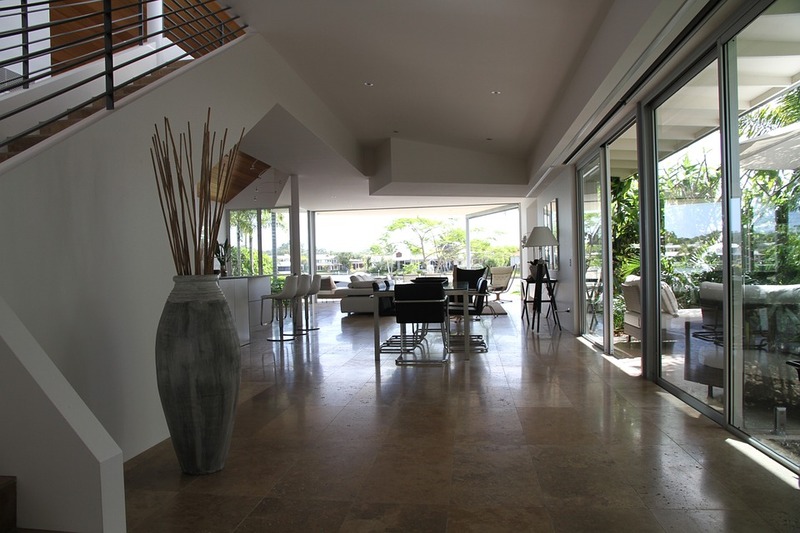 Tile floors are fairly easy to clean, but they require a special approach. The tricks and techniques you might have been using on hardwood floors won’t work as well, so you will need to do things a little bit differently. Possibly the best way to easily and safely clean tile floors is using a floor tile mop. 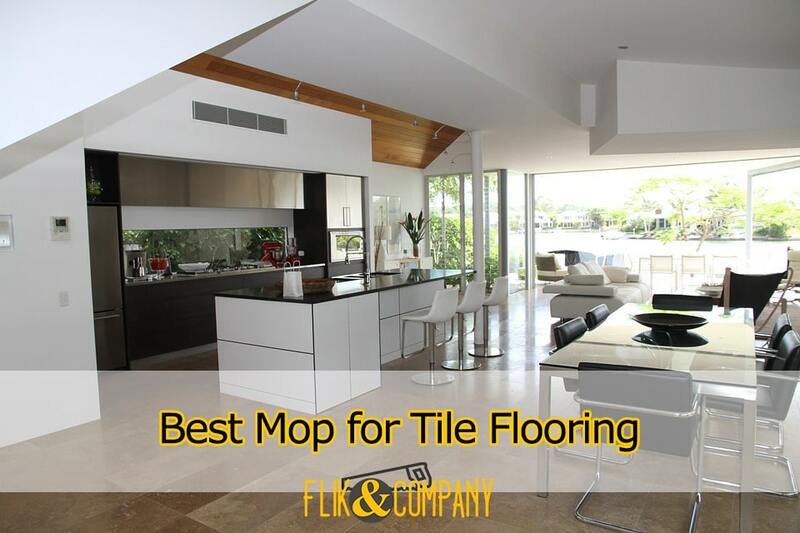 If you know that already, then you are probably looking for a good mop for your tile flooring. 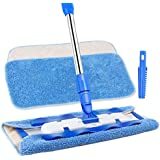 And to help you find the best mop for tile floors, we are now going to examine 10 high-rated mops and cleaners, each of which is unique in its own way. And aside from that, we will give you a couple of tips and tricks on tile floor care! Is it easier to clean tile floors than other flooring? When compared to other types of flooring like hardwood or laminate, tile floors are generally the easiest to clean. It doesn’t absorb moisture, first of all, so you will have more options to clean tile flooring with. Aside from that, tile has a smooth surface that is fairly easy to clean even if stained. However, the grout between the tiles is the real cleaning problem with this kind of flooring. It tends to get stained and to change colors easily. The narrowness of the grouts is another factor complicating its cleaning: many people resort to manual, time-consuming toothbrush cleaning to be able to treat it effectively. Make your tile floor clean and shiny by keeping away elements that make it dull and untidy! To maintain the cleanness and shininess of your tile flooring, you would need to make sure that you are regularly cleaning it. If you let particular elements sit on the floor for too long, you may one day discover that it is stained severely. And even if you clean the tile floor after that, you may discover that it no longer shines like before. Let’s now see which those elements that could impair your tile floor’s condition are. As it is, dust and dirt aren’t that damaging to tile flooring. However, if left sit in water or other liquids, they may turn into grime that is much more difficult to clean. While tiles themselves don’t typically absorb water, you should keep your tile floors dry nonetheless. That’s because water may cause the formation of mildew and the already mentioned grime. Aside from that, if you leave dirty water on the floor after cleaning, it may soak in the grout and stain it. These elements can simply stain the floor as is. If you don’t clean spilled oily and sugary liquids immediately, you may soon encounter sticky and slippery spots. Besides, oily and sugary liquids, just like water, may turn regular dust and dirt into tough grime. Bleach isn’t a thing that gets onto tile flooring casually. However, you may forget to rinse it off the floor after heavy cleaning. Bleach may damage both the grout and the tiles and could also discolor the latter, so make sure to always wash it away after cleaning. If you use a hard brush for cleaning tile floors, you may leave scratches on them. Depending on the texture of the tile, they may be very visible. Make sure to use a soft brush for cleaning instead. 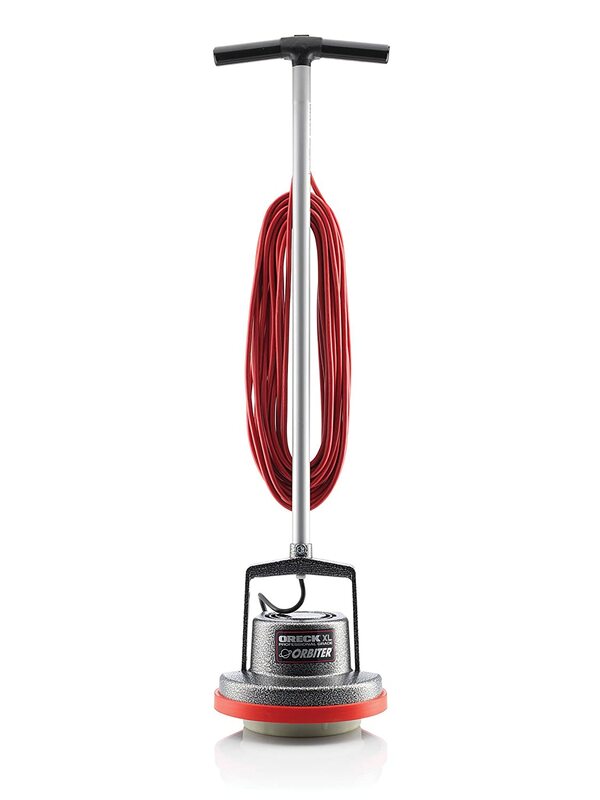 A steam mop like Bissell PowerFresh 1940 could be the best mop for tile floors for you if you are particularly looking to sanitize the flooring. That’s because the hot steam of this mop is capable of eliminating up to 99.99% of the germs and bacteria on the floor without the use of harsh chemicals. 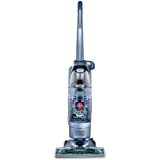 Bissell PowerFresh also appears to be highly effective in general cleaning. It should be pretty easy to use since it only requires you to fill it with water and run it over the floor. The hot steam should also work well against tougher stains. 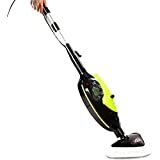 What should also make this steam mop particularly convenient is its fully swiveling cleaning head, as well as the lengthy power cord. It also has 3 steam intensity settings to allow you to deal with various messes. Effectively eliminates bacteria and germs. 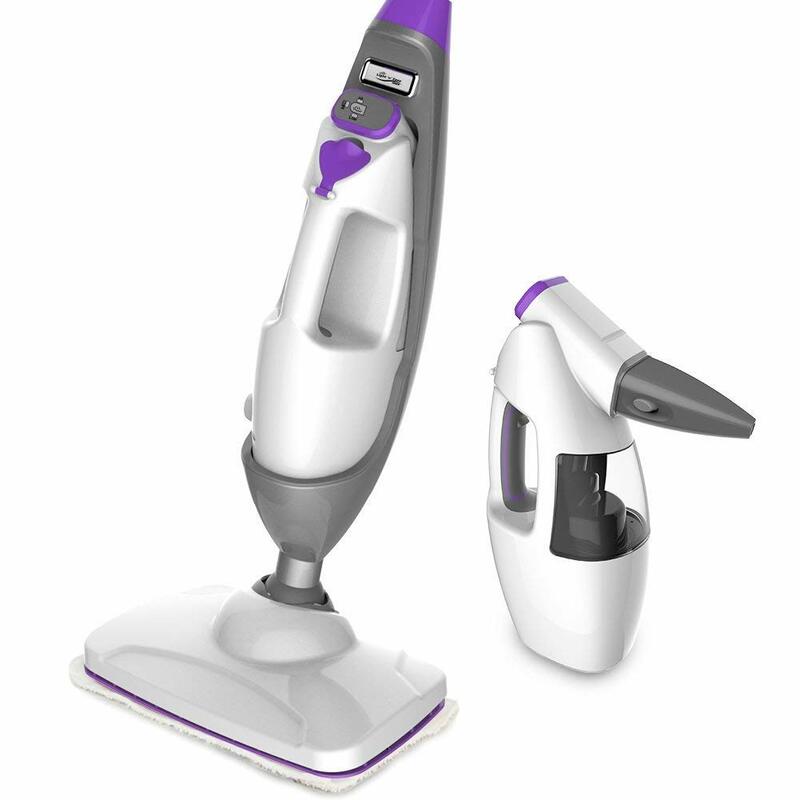 McCulloch MC1275 Steam Cleaner essentially works in the same way as the Bissell PowerFresh steam mop we examined in the beginning. This means that the MC1275 steam cleaner should be very effective against germs and tougher messes. However, this cleaner is designed to be handled like a vacuum cleaner. The very first benefit of this design is convenience. The 9-foot hose and the fairly mobile cleaning head would allow you to easily reach far and confined corners. 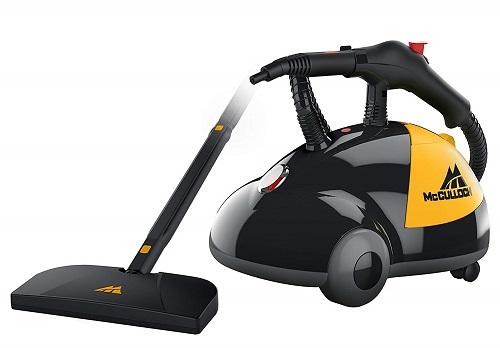 Secondly, this steam cleaner has a much larger 48-ounce water tank, which should allow you to clean more floor area in one session. 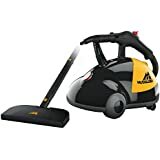 What may catch the eye the most in this steam cleaner is the 18 included accessories, such as microfiber cloths, a triangle cleaning head, a jet nozzle, and more. 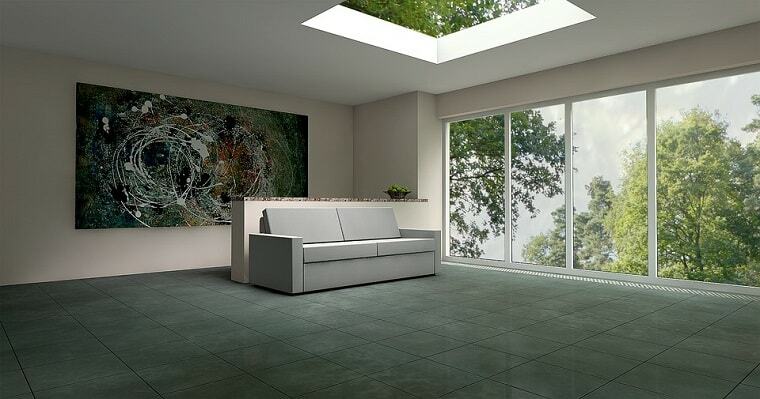 The MC1275 thereby may be a good choice not only for tile floors but also for car interior or furniture cleaning. If you don’t really want to deal with wet cleaning, then Oreck Commercial Orbiter Floor Machine Model ORB550MC could be the best tile floor cleaner for you. The Orbital Floor Machine employs a rotating buffer. This buffer not only spins but also moves around in a random orbit pattern, which, on one hand, appears to make moving the cleaner around easier and on the other makes sure that it doesn’t leave swirl marks on the floor. Possibly the best thing about this cleaner is that it can be used for dry-cleaning tile floors and for loosening dirt from carpeted floors. In terms of convenience, the Orbital Floor Machine appears to be pretty good. It has an extra-long 50-foot power cord that should be more than enough for home applications and even for small workshops. 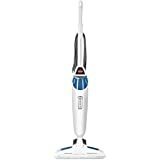 However, this cleaner isn’t versatile as, for example, the PowerFresh steam mop we reviewed previously since it doesn’t have a fully swiveling head, which could mean less convenience in confined areas. 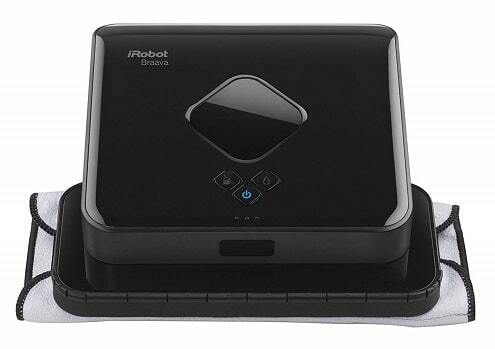 If you want maximum convenience, then you most likely won’t find anything better than iRobot Braava 380t. It requires little user input and does all the cleaning automatically. 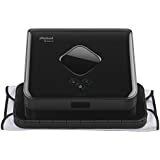 Braava 380t is thereby designed to clean every area that needs to be cleaned. This robot mop uses the so-called NorthStar Navigation Cube to map the location. 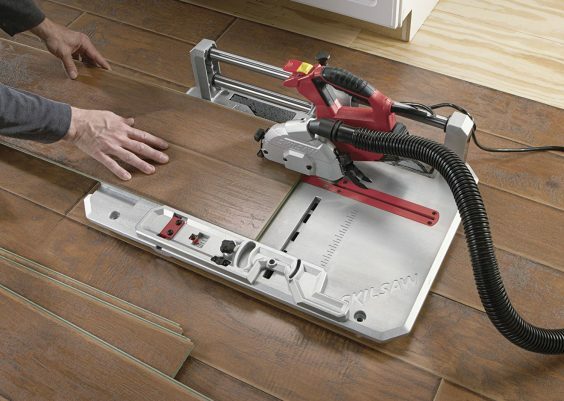 If you set it up right, then you probably won’t have to worry about sweeping your floors. Remarkably, this robot mop can clean both wet and dry. It has a small water reservoir that can take in mild cleaning solutions or just water and also comes with a reusable microfiber cloth to pick up dirt, dust, and hair. 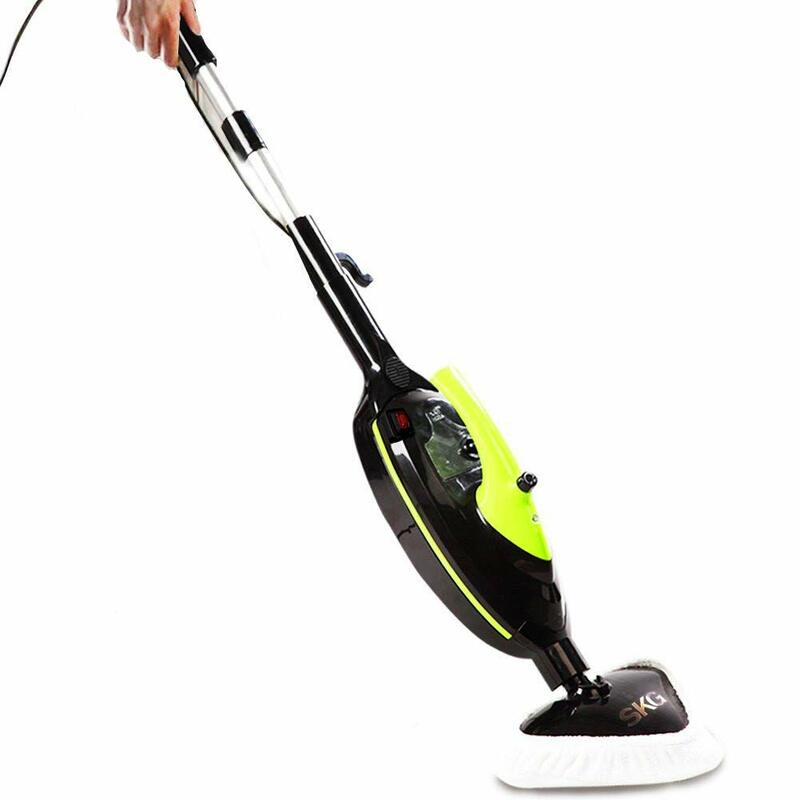 Operating on a battery, this little guy sweeps up to 1,000 square feet or mops up to 350 square feet in a single cycle. Note that this unit can be charged fully up to 2 hours. Can both dry and wet clean. Yet another steam mop on the list, but this one is a little bit different. 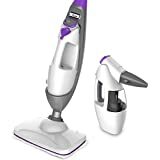 While not differing from Bissell PowerFresh Steam Mop fundamentally, this steam mop has a couple of features that may interest you more. 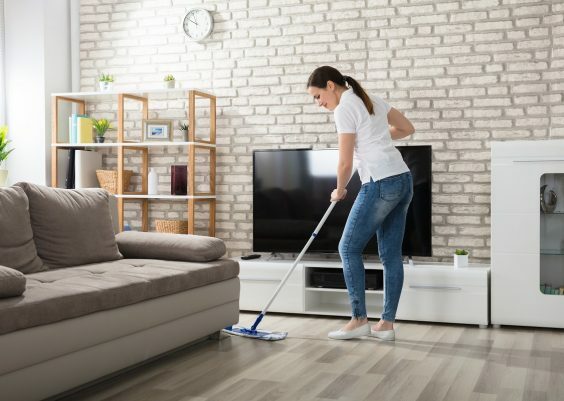 Aside from the regular steam cleaning of tile flooring, Light ‘N’ Easy Multifunctional Steam Mop can be used to clean a variety of other surfaces. The water tank of this steam mop can be removed for portable steam cleaning of countertops or furniture. Light ‘N’ Easy also includes a triangle brush to allow you to deal with dust and dirt on fabrics. SKG 1500W 212F steam mop is also a remarkable model. If you are looking for a steam tile floor mop that can be used on carpets, then this one may be the right choice for you. Like any of the steam mops we reviewed, SKG 212F is very effective in eliminating germs. The main difference of this steam mop from the others is that you could enjoy its germ-cleaning benefits on carpets as well. That’s because this steam mop comes with a snap-on carpet glider accessory. Another noteworthy feature of this steam mop is its triangular head. Such a shape should allow you to reach far corners under furniture much easier. 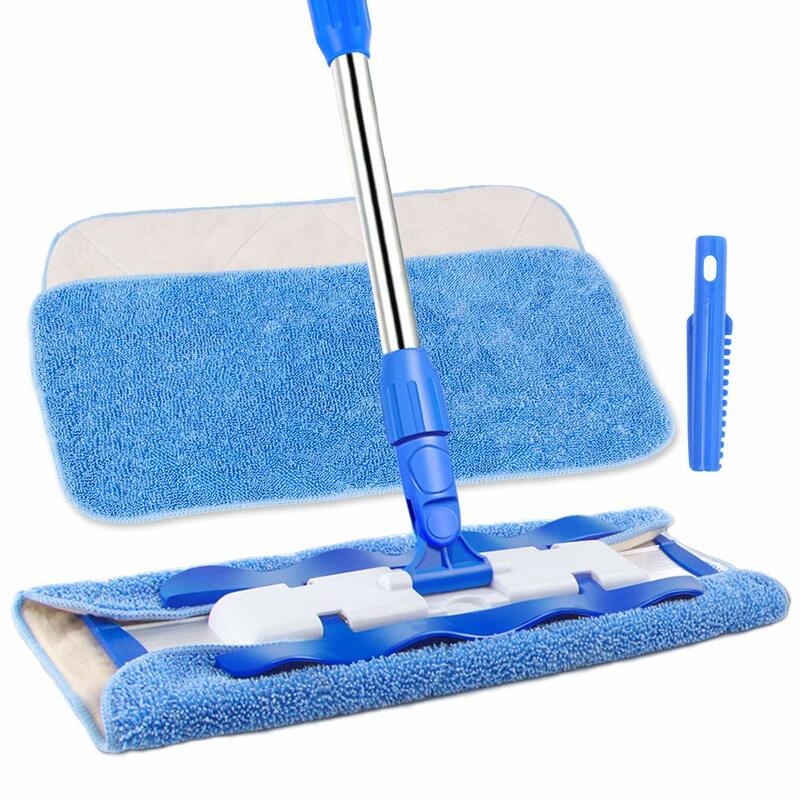 SKG also includes several useful accessories with this steam mop like an extension hose, a straight cleaning nozzle, a brush, as well as 3 microfiber cloths. Can be used on carpets. 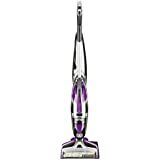 Bissell Crosswave Pet Pro could be the very best choice of a tile floor mop for you if you are having problems with pet hair. That’s because this cleaner comes with a multi-surface pet brush roller designed to pick up pet hair and other dry debris without tangling. For easy removal of pet hair from the cleaner after you are done, the Crosswave comes with a pet strainer tool that essentially works like a filter. When it comes to tile floor cleaning, the Crosswave cleaner could be a great time-saving choice. It can dry clean and wet mop the floor at the same time, allowing you to do one cleaning session instead of two. 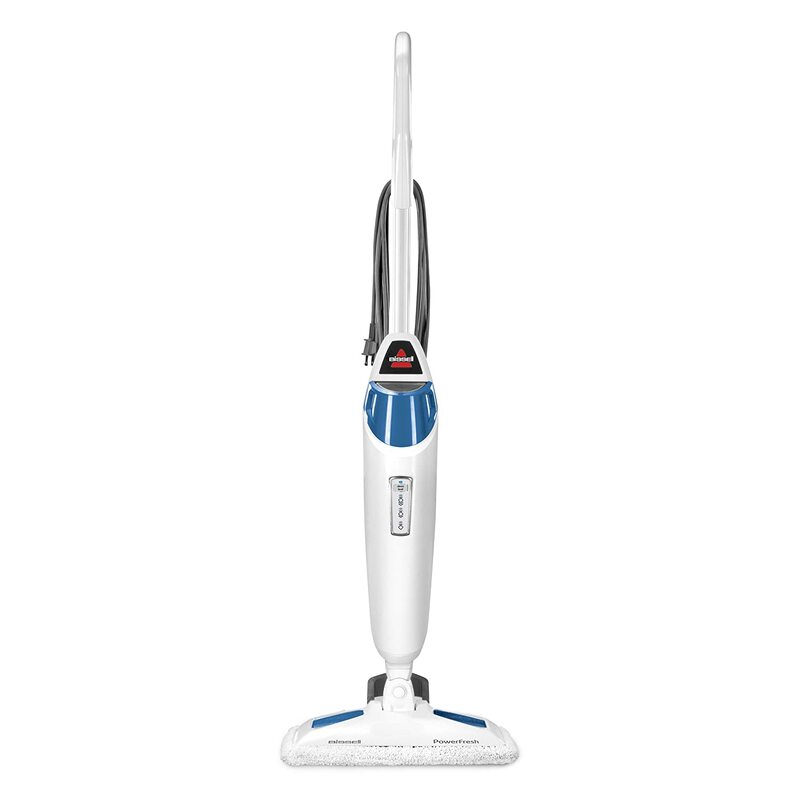 Interestingly, Bissell donates up to 10$ to the Bissell pet foundation for every purchase of their pet products, including this cleaner. This may be a good advantage for you if you are really concerned with pet safety. Both vacuums and washes the floor. 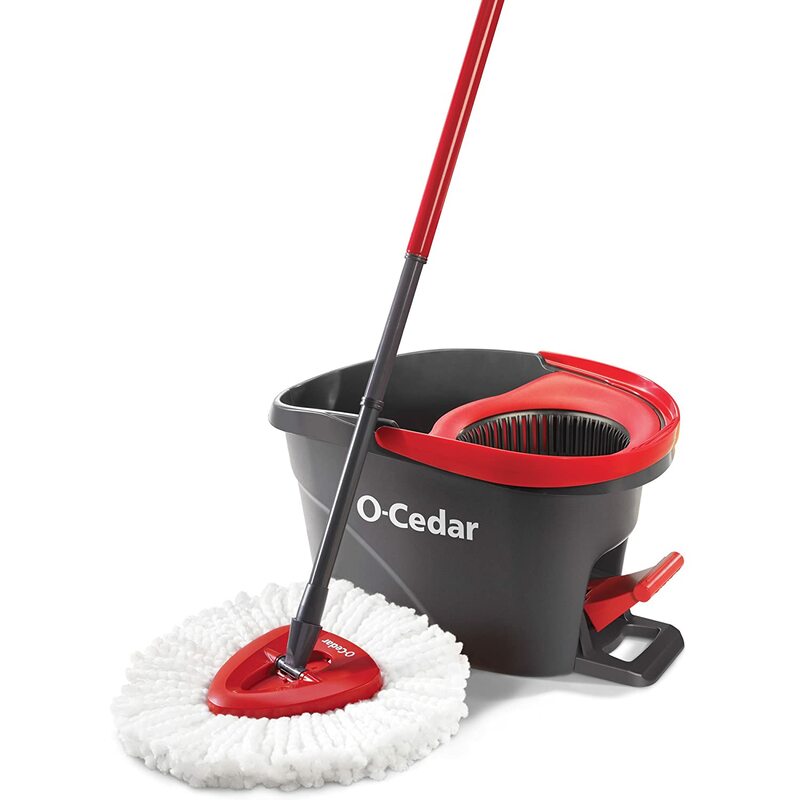 O-Cedar EasyWring Microfiber Spin Mop may be the most remarkable tile floor mop on the reviews. You may look at it and think that it is just a simple bucket and mop combination. It isn’t exactly that, however. The EasyWring bucket is equipped with an automatic wringler that is engaged with a foot pedal. You just put the mop head into the wringling chamber and press down the pedal. In fact, the more you press, the drier the mop gets. As for the mop itself, it appears to be a pretty convenient piece of equipment. It, first of all, comes with a fully swiveling handle to allow easier access to tile flooring under furniture. Besides, the cleaning head of this mop has a triangular shape that easily cleans corners. Classic bucket and mop, but much more convenient. If you don’t really need all those fancy features and are just looking for an inexpensive mop that will do its job, then MR. SIGA Professional Microfiber Mop may be that best mop for tile floors. This mop doesn’t produce steam and also doesn’t come with a ton of accessories. It just does the task of cleaning dust and dirt off of the floor. In fact, it appears that in spite of its simplicity, this microfiber mop is a pretty convenient product. Firstly, this microfiber mop features an adjustable telescopic handle that allows you to, on one hand, adjust the mop to your height and on the other extend it to reach far corners. Secondly, this mop comes with 3 microfiber cloths. To attach a microfiber cloth to the mop, you just need to wrap it around the cleaning head and lock its edges in the inbuilt clips. Speaking of the cleaning head, this microfiber mop also comes with a fully swiveling pole that should make the cleaning in confined areas much easier. If you found all the previous tile floor mops not to be suitable for you, then maybe Hoover FloorMate SpinScrub will be the best tile floor cleaner for your needs! 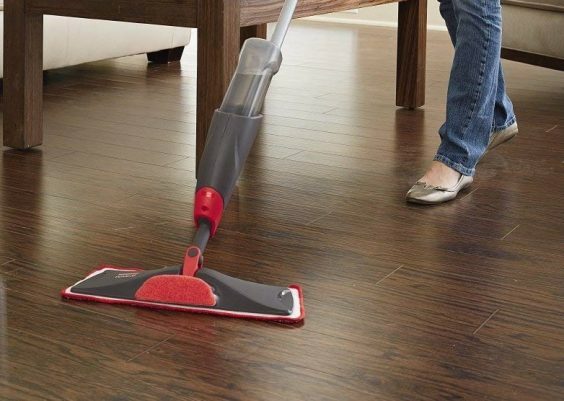 For an attractive price, you get a device that vacuums, washes, and dry cleans hardwood floors. You thereby won’t need to have separate mops for dry and wet mopping: you just set this cleaner at the desired mode and do the cleaning. Remarkably, the FloorMate SpinScrub features separate tanks for clean and dirty water, so you won’t have to think about refreshing your water during cleaning sessions. 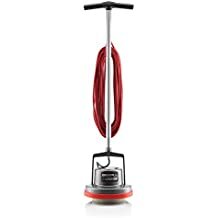 Hoover also includes a couple of accessories like an extension hose or a narrow brush that could come in handy in your other cleaning tasks. Vacuums, washes, and dry cleans. Separate tanks for dirty and clean water. We have just reviewed those ten great tile floor mops, but how do you choose the best one? Well, there are two things that you need to determine before making your final choice. The first thing to determine before choosing a floor tile mop is your budget. You need to know what kind of a price range you can afford to spend money on. If you know the right price range, you will have significantly fewer mops to go through and to consider buying. The second thing to determine is your requirements. As you could have seen, there are a variety of floor mops available, each with its own specific purposes. You don’t want to waste money, so you better choose the right mop. Particularly concerned with germs and bacteria? Then a steam mop or a steam cleaner would be the right choice. Want to get a two-in-one dry and wet tile floor cleaner? Then choose one of the multifunctional models we reviewed. If you want to make your tile floor shinier, then go get a buffer mop that will scrub out those sticky-hard dust and stains on your tile flooring. In the end, after combining your budget capabilities and requirements, you should be able to find the right mop pretty quickly. Depending what surface and finish your tiles are made of, regular cleaning is the key! You should be sweeping or vacuuming your tile floors regularly, preferably daily, to get rid of the loose dirt and debris. If you allow the dirt to sit in wet areas, it may sooner or later turn into grime that is very tough to remove. After sweeping or vacuuming, run a dry cloth over the tile flooring. 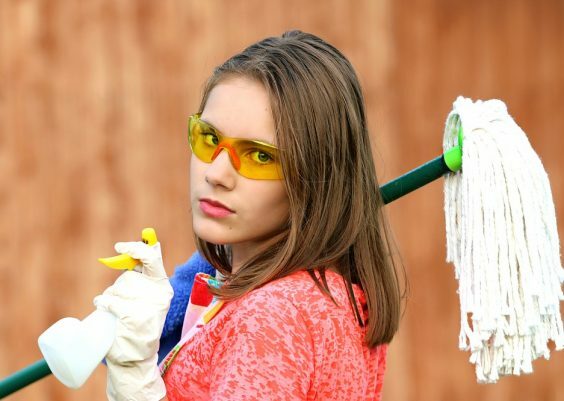 Aside from regular sweeping, you would also need to sweep the floor before mopping it. While you don’t necessarily need to use warm water, it will definitely make the cleaning easier. If the tile flooring doesn’t require heavy cleaning, then just cleaning it with a damp mop will be enough. You may also use a mix of dish soap with water for the cleaning. Don’t forget to run a dry dust cloth over the floor after cleaning! This will prevent the formation of grime, mildew, and the staining of the grout. And there also won’t be a risk of slipping. Whether you spill just water or juice on the tiling, make sure to clean it immediately. First of all, this will prevent the staining of the grout and griming. Aside from that, sugary liquids tend to become sticky. For dirtier spills like oil, you may need to use a disinfectant, but be careful with it since strong chemicals may damage the flooring. To do deep cleaning, mix half a cup of vinegar with one gallon of water and mop the floor with the mixture. 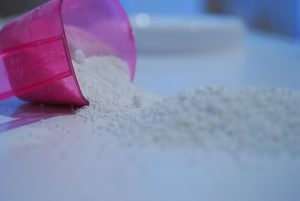 If you aren’t satisfied with the results, you may do one more run using detergent. 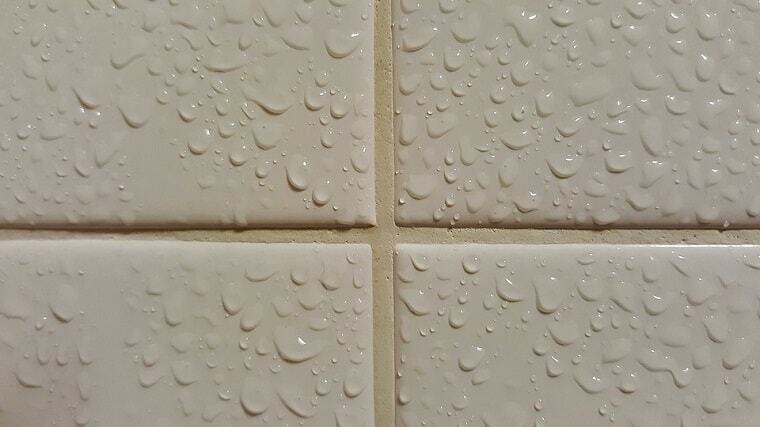 Don’t forget to clean the residual soap from the tiles with warm water so it doesn’t attract dirt. Make sure not to use vinegar or chemicals on marble flooring though since they are more delicate. One of the best ways to remove stains from tile flooring is using a 50/50 mixture of warm water and scouring powder. You rub the mixture on the stain with a clean cloth and let it sit for about 10 minutes. You then scrub the stain off with a soft brush and wash the area to remove the remains of the mixture. Mildew on tile flooring becomes a problem in bathrooms or kitchens. It may occur if you aren’t ventilating the bathroom after showering or leave the flooring wet for too long. To get rid of the mildew, prepare a 50/50 mixture of water and ammonia. Make sure that you are wearing rubber gloves and that the room is well ventilated. Scrub the area with a soft brush and the ammonia solution until the mildew is gone. Again, don’t forget to rinse the flooring with clean water. Tile grout is the most challenging part in cleaning tile flooring. Small and not heavily stained sections of the grout could be cleaned with a pencil eraser. An optimal choice would be the eraser of a number 2 pencil. Make sure to use a clean eraser so you don’t stain the grout more. For stubborn stains, sandpaper or an abrasive grout tool may be more effective. 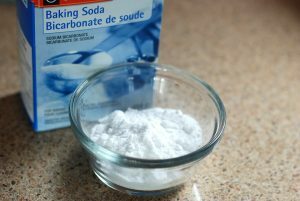 Baking soda is commonly used in cleaning tile floors. Baking soda also effectively brightens dirty and stained grout. To get started, make a mixture of baking soda and water. Apply it to the grout and then scrub it in with an old toothbrush. In the end, make sure to wash the grout with warm water. For tougher grout stains, let the mixture sit on the grout for a few minutes before scrubbing. If you find that none of the above methods work, you may need to try bleach. To get started, make sure to put on a pair of rubber gloves. Mix a 75/25 mixture of bleach and water if you have white, colorless grout. Don’t mix in bleach if you have colored grout because it could remove the coloring. Use a toothbrush to clean the grout with the solution. Make sure that no bleach gets onto the tiles. After you are done, clean the grout with warm water to remove all traces of bleach. You may seal the grout with a grout sealer to prevent it from soaking in any dirt in the future. Make your tile floors clean for a better home to live in! If you found the best mop for tile floors, then you probably shouldn’t hesitate and should just go get it. Even if not, continue your research and look for tile floor mops. Our best type of mop pick for cleaning tile floors is the steam mop. It is an effective tile cleaner that eliminates germs, bacteria and even removes grease through its hot steam. So if you’re ready to pick one, consider this factor. And after you have got the mop on your hands, well, you should be able to maintain your tile flooring like never before. 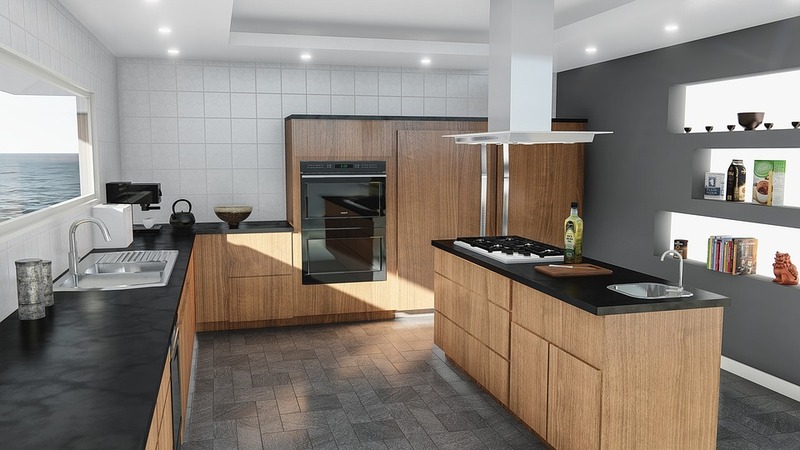 Just make sure to clean the floor regularly and keep the tips we provided you with in mind!